Ali The Immortal: Transformation from Islamic Fighter and Notorious Underworld Figure to Missionary for Christ. Ali the Immortal earned his nickname in the bloody Iran-Iraq War. As an Iranian soldier, he miraculously survived unscathed every time from the fierce battlefield where hundreds died around him. Disillusioned with his Islamic faith, Ali became a hardened criminal and got involved with drug trafficking, gangs and murder which eventually led to his escape to Europe. Ali the Immortal became notorious in the criminal underworld in Europe where he was convicted of many crimes including assault and attempted murder, kidnapping, drug trafficking, and armed robbery. Spending some 14 of the last 20 years of his life in dark Bulgarian prisons, four in solitary confinement, Ali at last came across a Bible written in his native language of Farsi. A new faith in the one true God would emerge in this encounter with the person of Jesus Christ changing Ali’s life forever. Ali today tirelessly serves the poor in the refugee camps of Bulgaria as a committed missionary for Christ. Alexander Urumov is a prolific author and playwright in Bulgaria. His collections of short stories, Fairy Tales at the End of Time, The Nicknames of the Days of the Week, and Pumpkin! have earned him nominations for awards including The Southern Spring Award. He has also written Jesus Christ — Power and Politics as well as award-winning plays: Ground Squirrel, Pumpkin!, Whoever Should, Profundo, We — the Bulgarians, An Open Class for Foreigners, To Kill a Giant, and The Bird that Says Kou! 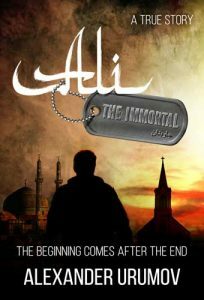 Ali the Immortal is his first biography. 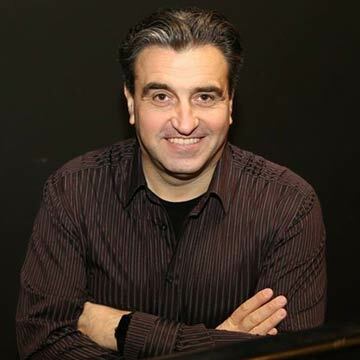 If your life has been touched by Ali’s story and you would like to help the refugees, we invite you to participate with Bridge of Intersection’s Refugee Project in Bulgaria led by Ali and Pastor Ivodor Kovachev.